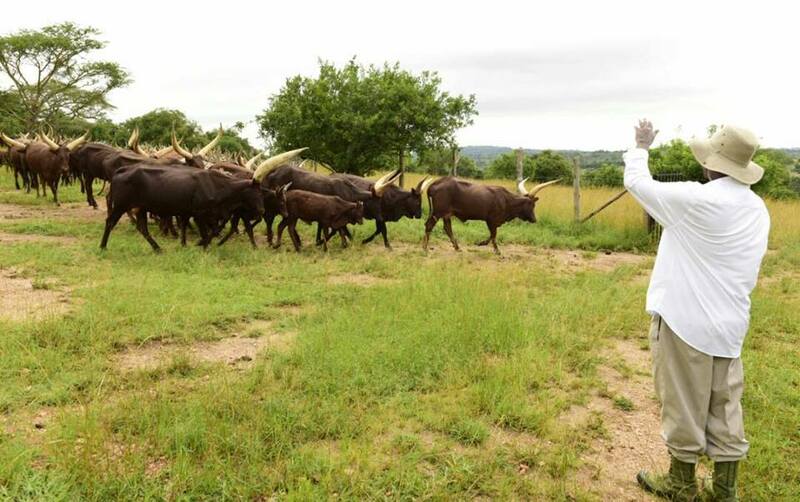 RWAKITURA – A group of about 200 residents of Rukungiri district was forced to spend a night at the gate of President Museveni’s country home in Rwakitura, Kiruhura District, after being denied access to him. The group named Boona Bagigahare Nyekundire Group had travelled in three buses and arrived outside the President’s home on Sunday morning but were not cleared to enter. They then camped at the gate until Monday morning when they gave up and decided to quit. The group leader, Ms Peace Rugambwa, accused Rukungiri Resident District Commissioner Martin Mugabi of influencing the President’s handlers to block them. “There is no way I could have brought all these people to the President’s home without an appointment. When we reached the gate, the security told us to go back and keep away a distance from the gate that they will call us, they neglected us there, throughout the day and night in the cold,” she told journalists on Monday. “Our efforts to get an explanation from the security was met with deaf ears until Monday morning when they told us to leave and go back to where we came from,” Ms Rugambwa added. She said Boona Bagigahare Nyekundire Group works to eliminate household poverty through farming and lending money to the members. Ms Rugambwa said they wanted to update the President on the progress of their activities and how the infighting among NRM leaders is affecting the party strength in Rukungiri. The district is home to opposition leader Dr Kizza Besigye, and voted against Mr Museveni in both the 2011 and 2016 elections, and returned more opposition MPs in the 2016 election. “I was given this assignment by the President but leaders (in Rukungiri) are envious of my mobilization and organization skills to fight poverty. They see what I am doing as discrediting them for not doing much to help the grass root people, that’s why they are blocking me,” Ms Rugambwa said. She said urged the President to audit the items and money he gave to different groups in Rukungiri in April, saying many are ending up in hands of unintended beneficiaries. When contacted, Mr Mugabi said as a mere RDC, he could not influence the failure of the group to meet the President. “The President invites people and individuals as and when he wishes. As an RDC I have no authority to block his visitors if they were blocked that means they had issues with his handlers but not me,” said Mr Mugabi. The Presidential Press Secretary, Mr Don Wanyama, denied knowledge of the matter but promised to consult and establish why they were blocked. “ I am going to establish from protocol if this group was scheduled as they claim,” Mr Wanyama said.